MG2 Cricket are crafters of custom made cricket bats. Marty and Megan Graham are renowned for their quality cricket bats and accessories. 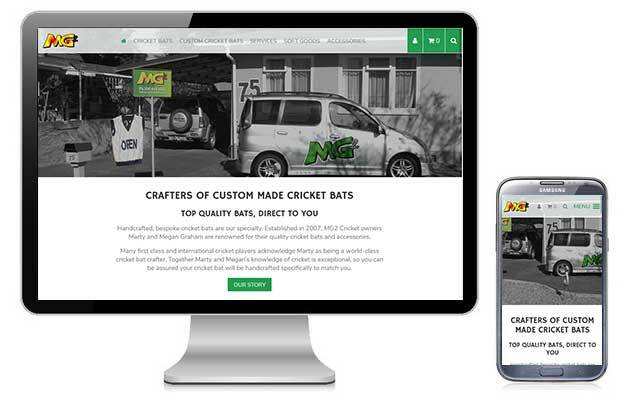 I've used MG2 cricket gear for a number of years now so I was pleased to be able to build them a great website. Marty and Megan wanted an online shop to sell their bats, soft goods and accessories. 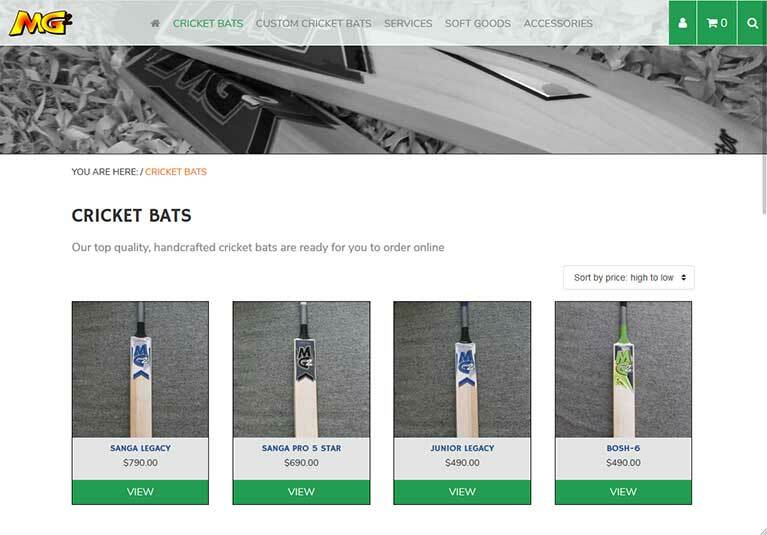 They wanted cricketers to be able to book in a service for their cricket bat online, and the ability make a custom bat order. Want to establish an online presence, or take your website to the next level?